The rising price of petrol is having an immediate impact on consumer goods prices as can be seen in the five percent or more added to retail prices today. The sudden change is most noticeable in the food markets like Pham Van Hai in Ho Chi Minh City, where fruit has gone up by VND500 to VND1,000 per kilo and pork by as much as VND3,000 per kilo. 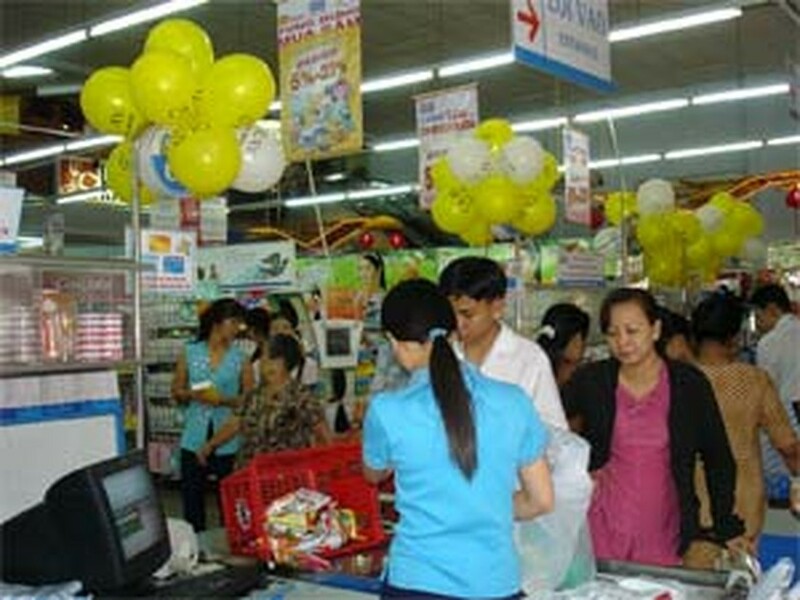 Following the common trend, retail gas hit VND245,000 to VND246,000 for a 12 or 13-kilo cylinder, an increase of VND4,000 to VND6,000 on the old rate. The upcoming International Women’s Day (March 8) and the recent cold spell in the north have combined with higher transport costs to double the prices of flowers, especially roses. At Ho Thi Ky flower market in Ho Chi Minh City, roses grown in Dalat are selling for VND80,000 per bunch of 50, while roses from Hanoi are fetching VND140,000 for the same amount. The supermarkets, meanwhile, are yet to raise their shelf prices by much. According to one distributor, this is not really a high shopping season so people will put off their discretionary spending if prices move up too much. Most producers and distributors say they will wait until the second quarter before raising their prices. In related news, gold is continuing to break all records. Yesterday the yellow metal soared by VND320,000 (US$20) a tael, which is roughly 1.3 ounces. The Saigon Jewelry Company (SJC) yesterday was quoting its top grade gold (9999) at VND18.85 million (US$1,178) per tael while the Phu Nhuan Gold, Silver and Gemstone Company (PNJ) was selling a tael of its finest gold for VND18.88 million (US$1,180). Business was brisk at the Saigon Gold Trading Floor, where 270,000 taels of gold changed hands, an increase of 60,000 taels compared to the previous day. The world gold price surged to US$976 per troy ounce as the US dollar dipped to a record low of 1.523 to the euro and oil reached US$102.59 per barrel. Many observers think gold could reach US$1,050 before the month is out.